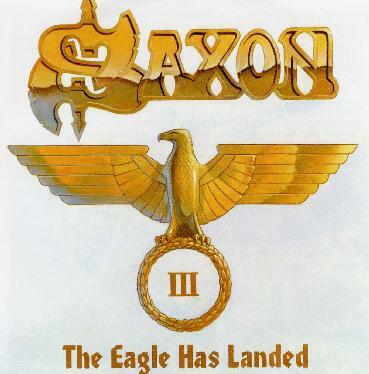 Saxon - "The Eagle has Landed III"
Saxon are one of the longest running NWOBHM bands along with Iron Maiden that have never stopped or given up and continue to deliver the goods. This double CD was recorded at multiple locations in Europe in 2004 (CD2) and 2005 (CD1). It features 32 tracks with CD1 focusing on the old songs and CD2 the new tracks. The sound quality and performances are excellent. If you are a Saxon fan then this will not disappoint. Some of the classics on the first CD include Backs to the Wall and Frozen Rainbow from their very first 7" record in 1979, Suzie Hold On, Stallions of the Highway, Redline and See the Lights Shinning. I was not familiar with a lot of the stuff on CD2, so it was great to hear that they can still write some quite strong songs. Saxon fans will enjoy this and if you are new to Saxon, here you will get a great selection of the classics. For more information you can visit the Saxon web site at: http://www.saxon747.com. Visit the SPV Records web site at: http://www.spv.de.